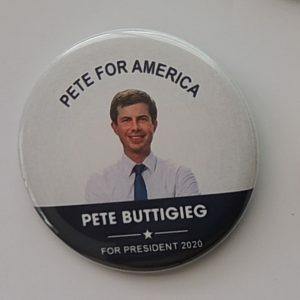 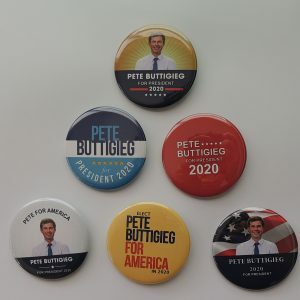 A variety of Pete Buttigieg campaign buttons for the 2020 presidential election. 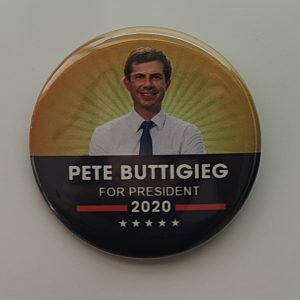 All button measures 2.25” are new and are manufactued by Presidentialelecton.com. 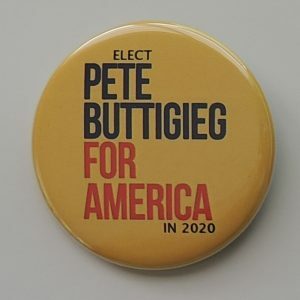 These beautiful campaign buttons will become collectors’ items in the years to come and are 100% Made in the USA. 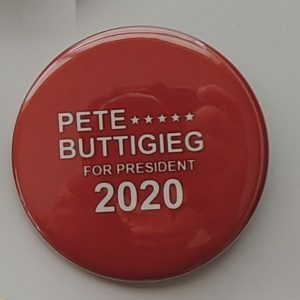 You can support your favorite candidate by proudly wearing the buttons or you can collection them as they generally increase in value each year. 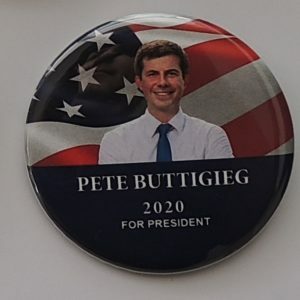 On January 23, 2019, Pete Buttigieg, the mayor of South Bend, Indiana, announced the formation of an exploratory committee to run for President of the United States in the 2020 Democratic Party presidential primaries. 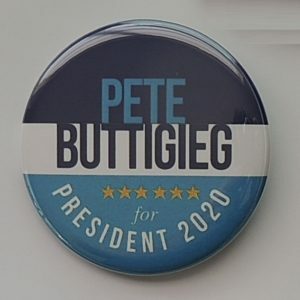 He had been drawing speculation as a potential candidate, notably visiting the early caucus state of Iowa in December 2018, where he announced he would not run for reelection as mayor in 2019.